Virat Kohli named captain of both sides; Warner, de Kock and Stokes other players to feature in both teams. India’s Virat Kohli has been named as captain of the ICC Test and ODI Teams of the Year 2017, which were announced today by the International Cricket Council. Apart from his own stellar performances across both the formats during the period between 21 September 2016 and 31 December 2017, Kohli also inspired India to the number-one and two ranking positions in Tests and ODIs, respectively. This is the first time Kohli has been selected in the ICC Test Team of the Year, but the fourth time – after 2012, 2014 and 2016 – that he has been picked in the ICC ODI Team of the Year. 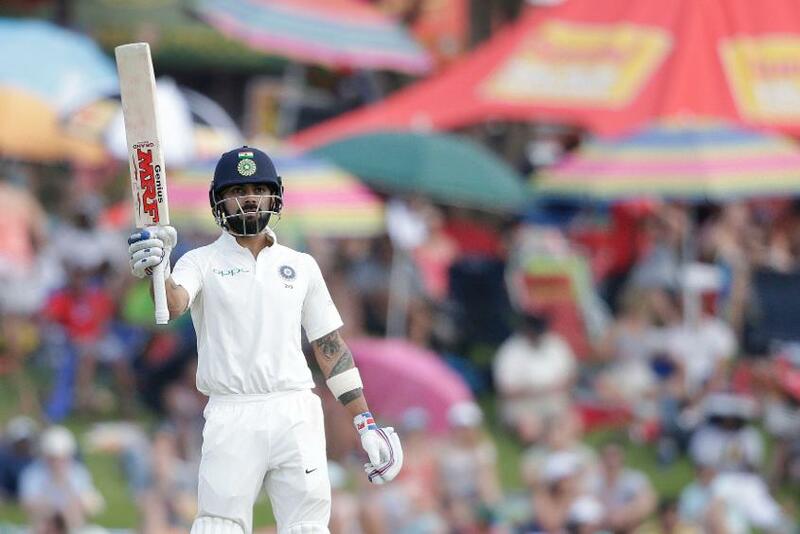 Kohli is also one of four players to feature in both the Test and ODI sides, with the other three being Australia’s David Warner, Ben Stokes of England, and South Africa wicketkeeper-batsman Quinton de Kock. Warner, Ravichandaran Ashwin, Stokes and Mitchell Starc were members of the ICC Test Team of the Year 2016, while Warner, de Kock, Kohli, AB de Villiers, Starc and Rohit Sharma have been selected for the second year running in the ICC ODI Team of the Year. For de Villiers, this is the seventh time in eight years that he has been chosen in the ICC ODI Team of the Year. The Test side includes three South Africans (Dean Elgar, de Kock and Kagiso Rabada), three Australians (Warner, Steve Smith and Starc), three Indians (Kohli, Cheteshwar Pujara and Ravichandran Ashwin) and two Englishmen (James Anderson and Ben Stokes). The ODI side comprises players from seven countries and is made up of one Afghanistan player (Rashid Khan), one Australian (Warner), one Englishman (Ben Stokes), three Indians (Kohli, Rohit Sharma and Jasprit Bumrah), one New Zealander (Trent Boult) two Pakistanis (Babar Azam and Hasan Ali) and two South Africans (AB de Villiers and de Kock). While selecting the sides, the voting panel* took into consideration player statistics, as well as key game-changing performances during the voting period.